Relax in the Classroom Lounge. 400m to Royal Garden Plaza Mall. 150m to the Beach (actual position). Walk to Walking Street in 5 minutes. Everything you want and need in the heart of Pattaya City just 500 metres from Walking Street and 150m from the Beach. The Baht bus loop is only 20m away on 2nd road and there are Convenience stores, ATMs, and a laundry just around the corner. All rooms are spacious and air-conditioned with King Size beds, kitchenette, in-room safe, and table and chairs. Free High Speed WiFi in all rooms and public areas. All our rooms are non-smoking but each has a balcony where you can enjoy a cigarette and the view. Our hotel is guest friendly with no joiner fees. Enter through the 24 hour reception or use your room key card to access the private entrance that leads to the modern elevator to all floors. From 1150 baht per night. The Sports Bar downstairs has seven big screen TVs with live sports news and events showing all day. 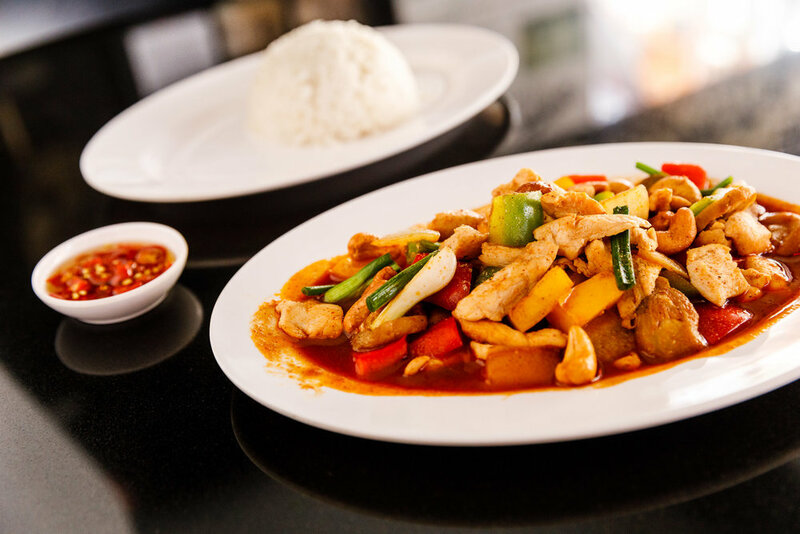 Western and Thai style food is available and you can wash it down with ice-cold bottled beers or draught beers and cider on tap. Sit around the bar and enjoy the Air Conditioned comfort. Access to your room is by key card through a private entrance with no joiner fees and lift access to all floors. Rooms start at just 1150 baht and are very popular, so book as early as possible to avoid disappointment! 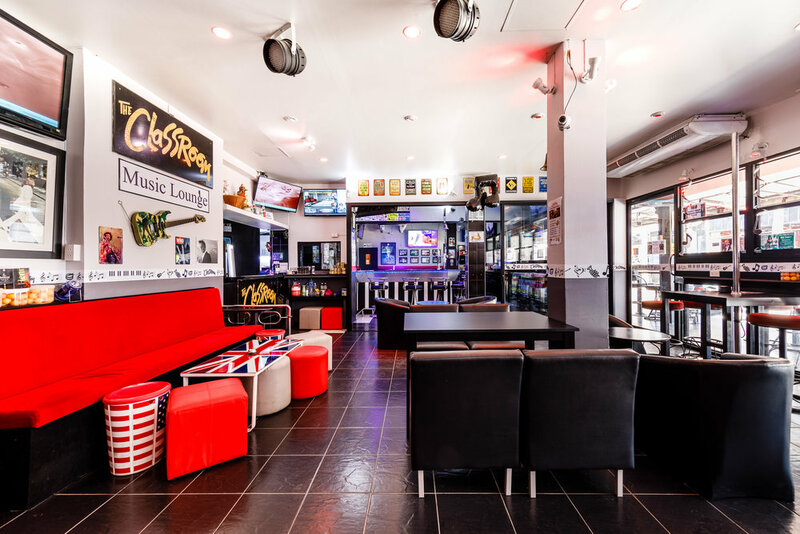 The Music Lounge is a retro music-themed space where we show music videos on 4 big screen TVs. Enjoy the luxury of armchair and sofa seating in air conditioned comfort. Enjoy live music with the Funtastic Barry Upton on Thursday nights and other special occasions. Check out our events page for the latest Classroom schedule. View availability and book Classrooms Hotel online.